Kingswood Oxford private school students know, love and excel in music. At Kingswood Oxford, students come to know and love music. Starting in Middle School, where an hour each day is set aside for music, students learn through participation and exposure. 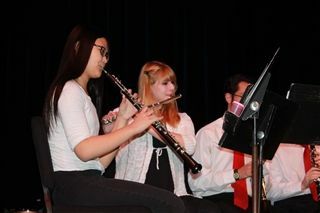 Our many courses, performance ensembles, and master classes provide an array of options for all levels of musicianship. See the opportunities that await you in Kingswood Oxford’s Vocal, Orchestra, and Band programs. Our seven-year choral curriculum gives students exposure to an expansive repertoire of music from around the world and throughout history, including contemporary, pop, gospel, and fusion. 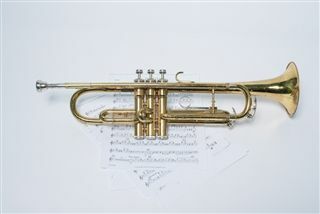 The Middle School curriculum focuses on singing, ear training, rhythm, melody, and harmony. In Upper School, students’ repertoire and experience broadens. They study music theory, work with the Composer Colloquy visiting artist, and venture into classical, baroque, pop, jazz, and multicultural music. Kingswood Oxford’s orchestra program introduces students to the world of orchestral music as they study and perform the classics. Through private lessons and group practice, students develop keen technical skills and fall in love with time-proven classics. Options include the Middle School String Orchestra and the Upper School String Orchestra. Students in Kingswood Oxford’s Concert, Jazz, and Wind Ensembles take center stage as each musician plays to be seen and heard. They develop skills through group practice and private lessons, growing in their musicianship and appreciation for various styles and genres. By performing in the following bands, Kingswood Oxford students explore classic and contemporary instrumental music, including young composers and known musicians —including Lady Gaga, Queen and others. The KO Creative Arts Department has released Mosaic: A Creative Arts Album. Access to all of the songs recorded in the Spring of 2016 can be found by clicking the icon to the right. You can also stream from Spotify and iTunes Music. The Giamalis Family Music Merit Scholarship, established by Christine and Steve Giamalis, is awarded to one incoming or rising Upper School music student per year who will be participating in the Kingswood Oxford Band, Orchestra or Choir. The award is given to students who exemplify both excellence in musical performance as well as academics. For more information on how to apply, click above.